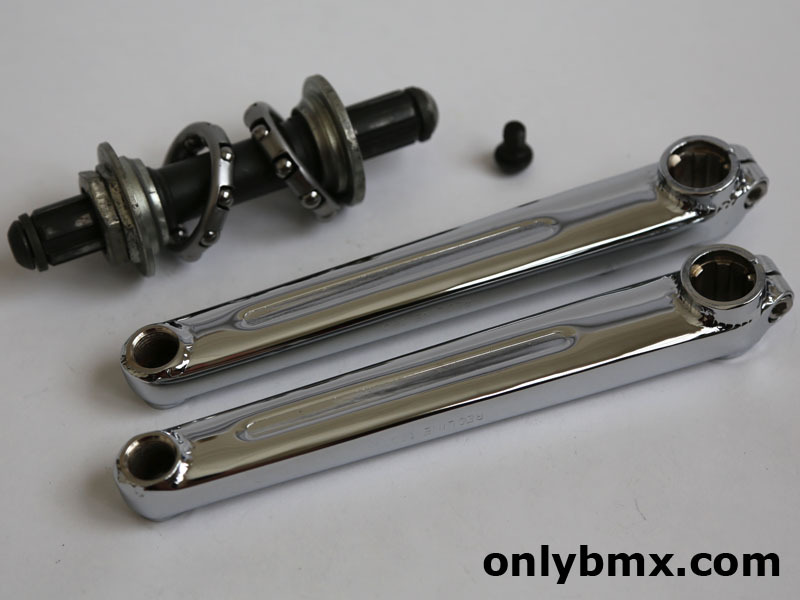 Set of Redline 401 Flight cranks. Back in the day these were the ultimate setup. 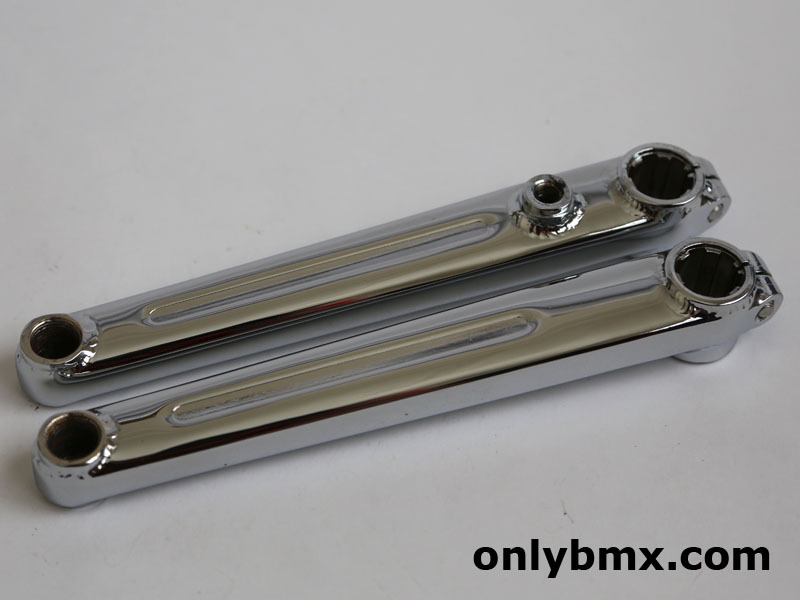 They have been rechromed with specific instructions to not remove any of the stamping or weld detail. 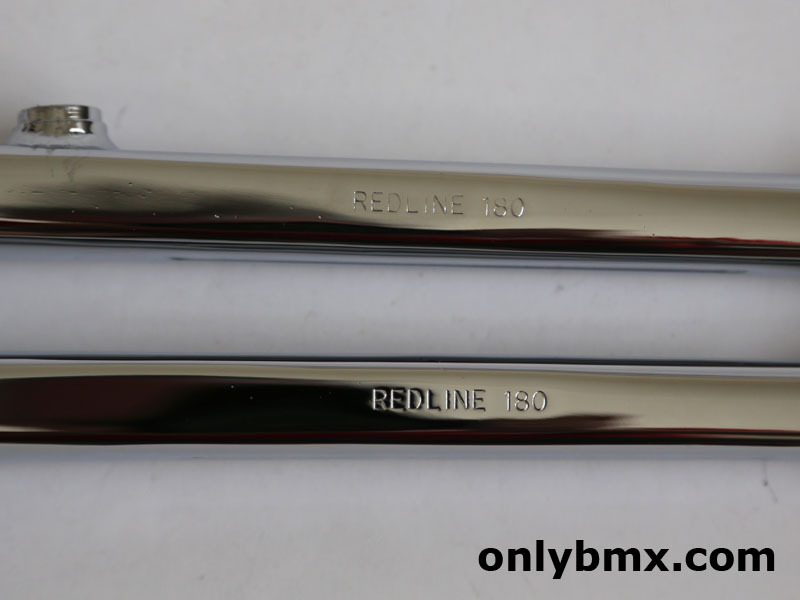 The Redline 180 stamping is still evident on both arms. 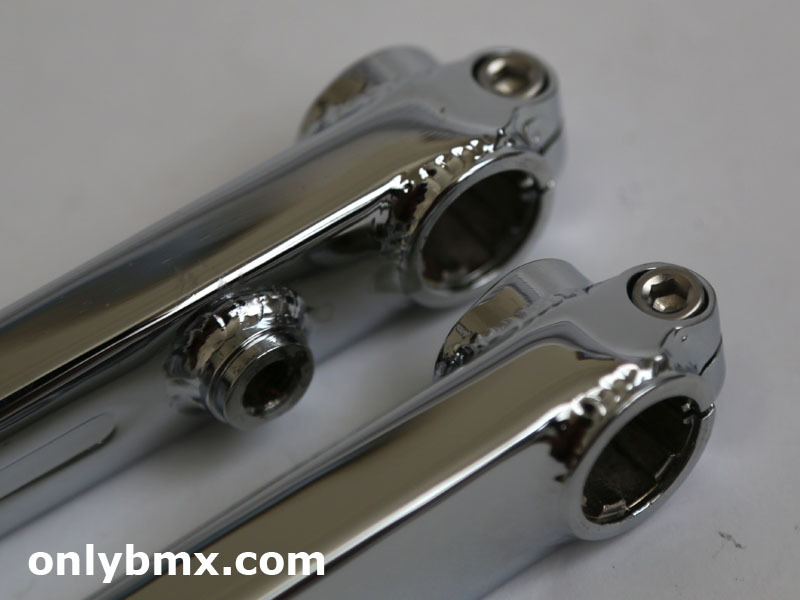 Crank arms are 180mm. 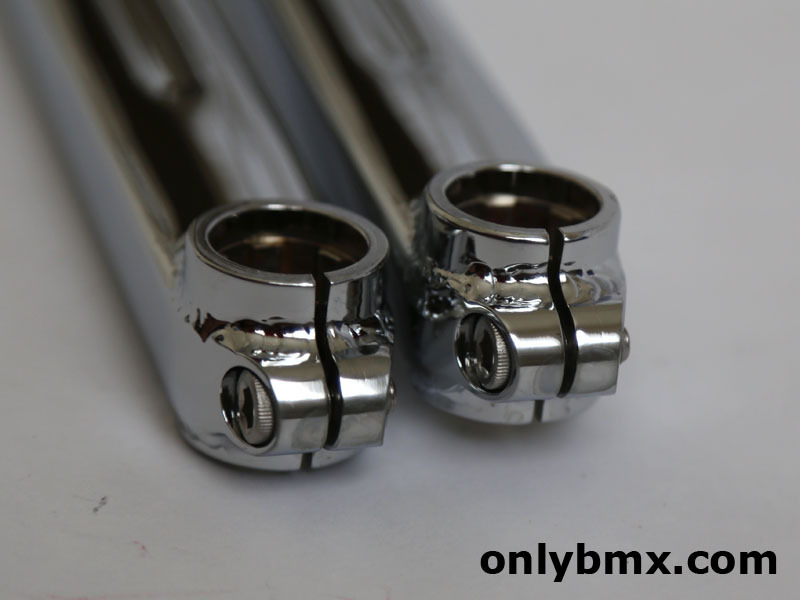 Bottom bracket is a 28tpi Tange loose ball setup. Pinch bolts have been replaced. 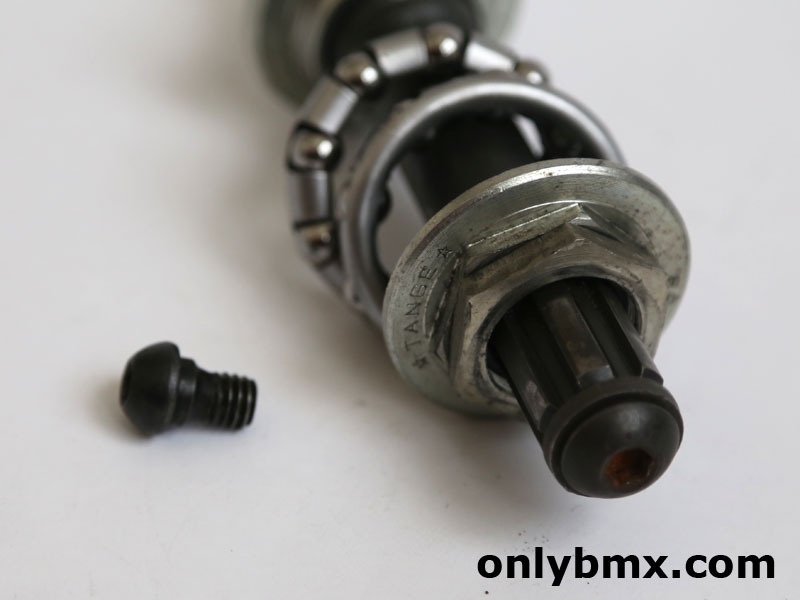 Other hardware is original, included the all important chainwheel bolt with the button head and collar.